Buying a new car is never easy. There’s the weekends spent wandering aimlessly around lots looking at various different vehicles and wondering if they’re right for you. There’s the endless nights spent trawling used car websites, trying to work out if what you’re buying is what’s listed in the advert. Then, there’s the annoyingly chirpy salesperson who won’t get out your face as he tries to explain to you the merits of paying well over-the-odds for a car you don’t really want just so it can make your life easier...and nothing to do with the fact that they get commission on the sale, right? Above all though, as a customer, you want to know that the vehicle you are buying is safe. After all, this is the vehicle that is going to carry you, your family and your possessions, so you want to be sure that you have the safest possible way of moving everything around. As a car dealer then, it’s vitally important to be able to provide this service to your customers. You don’t want to cultivate a reputation as a less than reputable dealer and giving customers peace of mind is the first step to enhancing your name as part of the motor sales industry. At Kaizen, we’re committed to being able to help business owners provide the best service for their clients and/or customers. That’s why we only produce the best in promotional items and documentation to give your business the professional look it deserves. Our vehicle appraisal pads are exactly the professional item to make your vehicle dealership stand out as being reputable in the motor sales industry. They are the perfect documentation to reassure your customers that what they are buying is safe, in full working order and ready for the road. Printed on our high quality 120gsm glued paper stock using our state of the art printing technology, our vehicle appraisal pads allow you to record any information about a vehicle you are selling in a clear and concise manner. We even suggest using them if you are accepting a vehicle in part-exchange, so that you know exactly what you are getting in return for your money. Our appraisal pads are available in sets ranging from 20 for smaller dealerships to 100 for those dealerships on the larger scale, with prices starting from just £194. All pads are fully customisable with your businesses’ name, design, logo or slogan to give an even more professional look to your documentation. 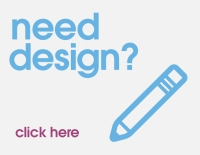 Our bespoke design service gives you the opportunity to work with our hugely experienced design team who are there to cater to your every design need. Whether it is a rebranding, redesign of your logo or just a way to make your item stand out from the crowd, Kaizen’s design squad have experience in working with a number of industries in creating a look that is right for them. Give Kaizen a call and get your car dealership moving in the right direction.